Yokohama’s famous eel restaurant, Wakana, was founded in 1872. Everyone who grew up in Yokohama has a memory or two of Wakana. I remember my father taking me there when I was still living at home. My impression at the time was that it wasn’t as good as the eel restaurants in Tokyo. That was the extent of my relationship with Wakana. But the year before last a senior businessman I partnered with on a big project in China invited me out for dinner. He was approaching retirement, but our dinner was not for business. He chose Wakana. Our big project was supposed to be the crowning achievement of my friend’s salaryman life. He put all his energy and work into it. Even though we worked for different companies, we shared information and prepared for negotiations together; we bargained back and forth, coaxed and cajoled our fellow negotiatiors, and joked around with everyone. But the project, for one reason or another, didn’t go very well. So there we were, two disappointed, stressed out, middle-aged men. In spite of the unfortunate circumstances, I thought the eel dinner at Wakana was extraordinarily delicious. I could understand a restaurant losing favor over the years, but it astonished me to see such tremendous improvement. When I looked up Wakana on the Internet later, I learned that the current master chef is the family’s fifth generation owner. Apparently, the new owner has made a few changes. Then, the other day I was in Yokohama again, so I went back to Wakana, and again it was extraordinary. The old Tokyo eel restaurants paled in comparison. 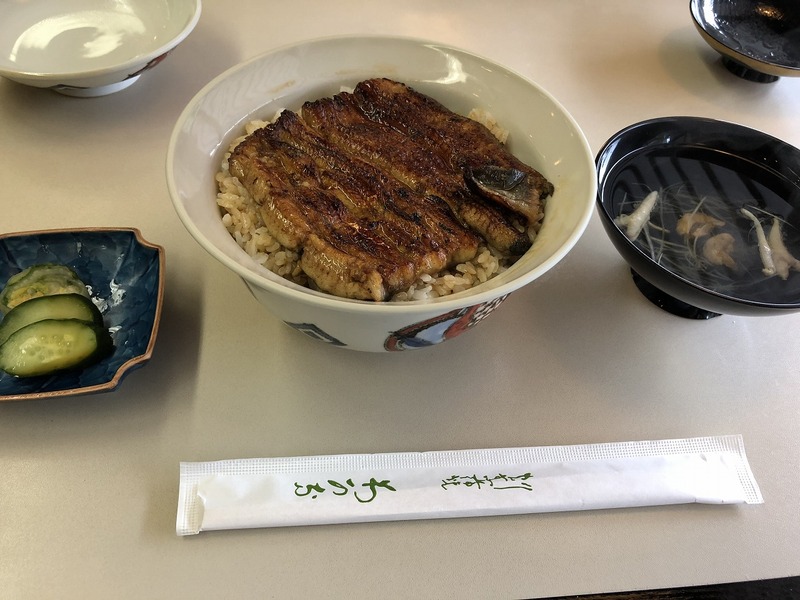 People say the best eel should be thick and fluffy, but that’s a big mistake. Thick and fluffy is characteristic of fish-farmed eel. Chinese fish-farmers use abundant but suspicious feed, and the eels turn out like “zabuton” cushions. You can tell just by looking. 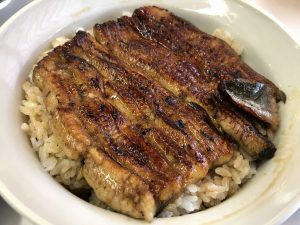 Really delicious eels are slim. I think the eels at Wakana do come from a fish farm, but I’m sure they’re carefully raised and then selected by the chef. It’s another good reason to go to Yokohama.